It always starts innocently. An occasional recurring red bump on your cheek or chin or forehead. You try to pass it off as your “bad skin day” and expect it to be gone once your body is done with the hormonal shifts as during your teenage days. But then, it spreads, and your skin starts breaking out as hell. Adult acne is a deeper issue and not just the regular hormonal thing like teenage acne. You must be wondering what makes it so different. Keep reading to know more about it and how to deal with it. 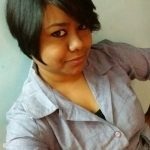 What Is Adult Acne And How Is It Different From Teenage Acne? Acne is often considered a teenage problem. In reality, it can affect anyone and at any stage of their life. Your skin gets acne when the hair follicles and the sebaceous follicles are clogged with dirt, dead skin cells, and acne-causing bacteria. Hormones are to be blamed for teenage acne. It’s because when you hit puberty, the production of a hormone called androgen increases in both boys and girls. Androgen makes the oil glands larger, causing excess sebum production, which blocks the follicles and causes an overgrowth of P. acnes bacteria. 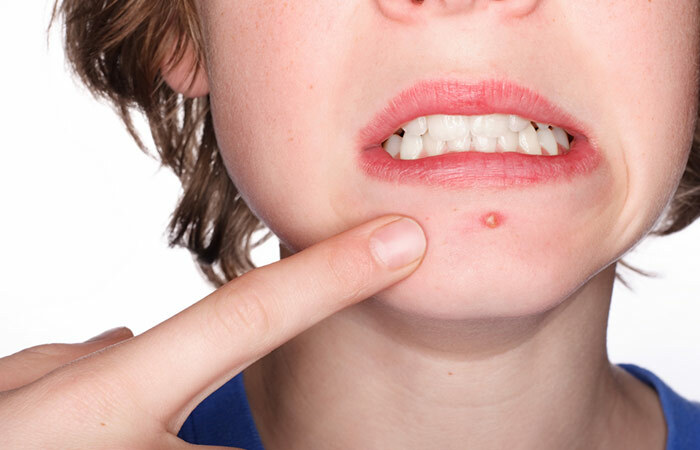 This causes acne in teenagers. More painful as compared to teenage acne and is cyclic. 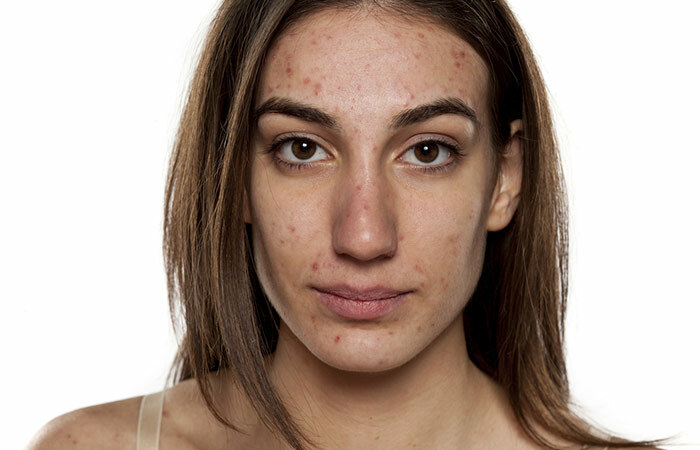 While teenage acne vanishes once your body adjusts to the hormones, adult acne can last long. Cystic (where most bumps are comedones occurring on the forehead and jawline). Inflammatory, making it more likely to leave long-term dark marks. There are a lot of contributing factors and causes involved that make adult acne a real challenge. What are they? Let’s explore. These are the two main causes that trigger hormonal changes in a female body. During pregnancy, especially during the first and second trimesters, the androgen levels increase in your body. This makes the sebaceous glands work more and produce more sebum. This causes breakouts. During the menstruation cycle, different hormones dominate your average cycle. For instance, estrogen dominates the first half of your menstrual cycle while progesterone dominates the second half. So, these shifts in hormones show up on your skin. High progesterone levels stimulate sebum production, causing blocked pores and acne. The hormones in birth control pills block the production of androgen. Certain birth control pills (such as the progestin-only pills) can worsen your hormonal imbalance, which takes at least five months to get regulated. So, if you switch your birth control mode quite frequently (going on and coming off the pills), your body will find it difficult to adjust to the changing hormone levels. As a result, your skin will break out. Menopausal women (women in their 40s and 50s) often experience acne. This is because when your menstruation ends, there is a change in your hormone levels. There is either a decline in estrogen levels or an increase in testosterone levels, which may cause breakouts. Some menopausal women undergo Hormone Replacement Therapy (HRT) to ease their symptoms. During HRT, another hormone called progestin is introduced in your body to replace the estrogen and progesterone lost during menopause. This also makes your skin breakout. Often, small cysts form on the outer edges of the ovaries, causing Polycystic Ovary Syndrome (PCOS) in women. This reproductive condition causes hormonal imbalance in your body. PCOS is the reason behind increased levels of androgen in the female body, which triggers acne (1). Makeup, Cosmetics, And Other Skin Products: These can block your pores and cause acne. And if you have acne-prone skin, these products can make it worse (2). Stress Levels: Growing up is tough. It comes with a lot of stress as you have to deal with a lot of issues on a day-to-day basis. And stress aggravates acne in women. A study says chronic stress increases the production of adrenal androgens in adult women, causing excess sebum production, resulting in acne (3). Another study says when you are emotionally distressed, your body’s hypothalamic-pituitary-adrenal (HPA) axis gets activated and releases cortisol (stress hormone). The corticotropin-releasing hormone (CRH), an element of the HPA axis, is also involved in stress response and stimulates sebum production, causing acne (4). Family History: A study involving patients with severe acne (between 25-55 years) found that about 50% of them had a first-degree relative (parent or siblings) with post-adolescent acne (or adult acne) (5). Environmental Factors: A study shows that acne is prevalent in people belonging to fully modernized societies. 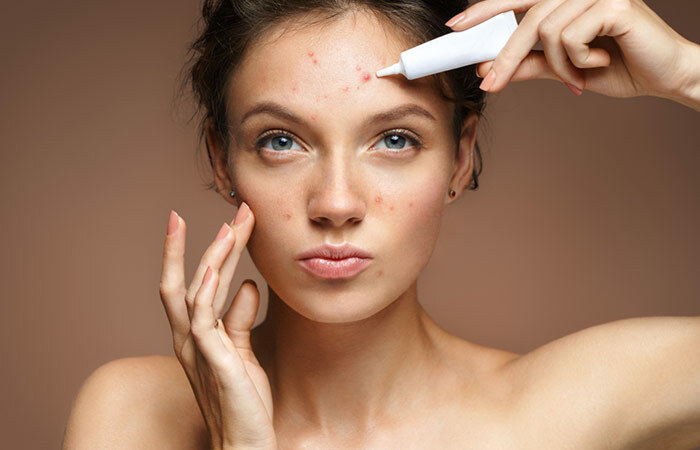 It claims that acne cannot be solely attributed to genetics; different environmental factors and changes in lifestyle also influence the condition. Moreover, adult skin interacts with chemicals (present in makeup and skin care products) on a regular basis, which also causes acne (6). Certain other habits, such as not washing the face thoroughly, not drinking plenty of water, and using corticosteroid medication, also contribute to acne formation. 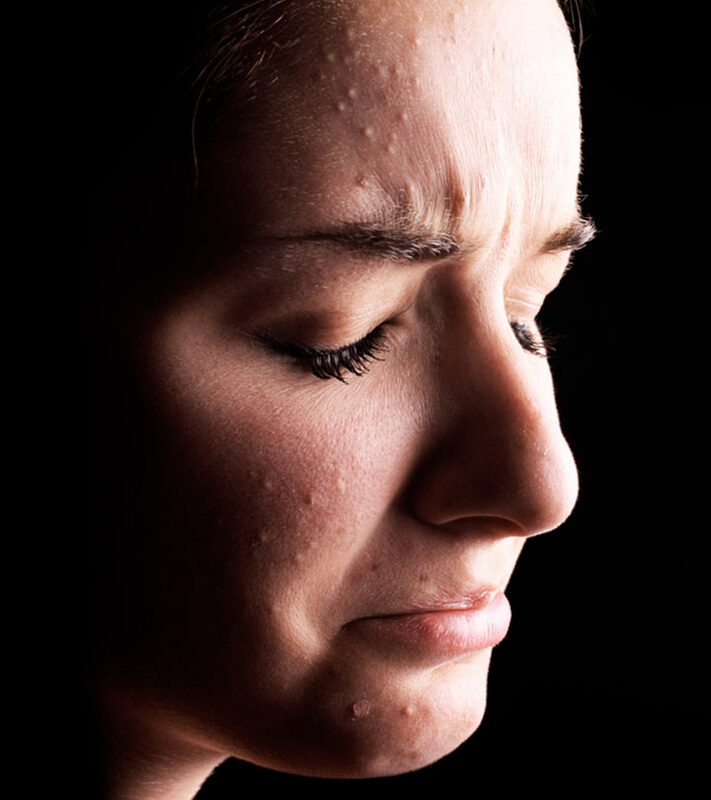 The signs and symptoms of acne vary from person to person, depending on the severity. Small dark spots with open pores right at the middle (blackheads). Small bumps (often whitish) under your skin with no open pores (whiteheads). Recurrent red and inflamed bumps filled with pus (commonly known as papules and pustules). Lumps under the skin. These can be solid and a bit painful (nodules). Tender and painful lumps under the skin, often filled with pus (cystic lesions). From underlying health conditions to your environment and lifestyle, many issues make adult acne a different ball game. Although it is quite stubborn and takes months or years to heal, adult acne is treatable. Retinoid creams help in unclogging the follicles. They can treat mild to moderate lesions and also be used for skin maintenance. Retinoids work best for both inflammatory and non-inflammatory acne. Commonly available topical retinoids include Adapalene, Tretinoin, Retinaldehyde, Beta-retinoyl, and Tazarotene. The percentage and concentration of these ingredients used for treatment depend on the severity of your acne (7). This is one of the most common agents used for treating acne. It is usually available in different concentrations as creams, lotions, gels, and face washes. This topical medication has antibacterial properties and can treat mild to moderate acne (8). It is used as a comedolytic agent (that prevents comedones), and when used in combination with other agents, salicylic acid can treat mild to moderate acne (8). Azelaic acid is a common ingredient in acne relief creams and is usually available in 10% to 20% concentrations. A study found that azelaic acid was effective in treating comedonal and inflammatory acne (9). Applying creams with lactic acid helps in decreasing the number of comedones, cysts, and inflammatory lesions (10). This gel has antibacterial, antiviral, and immunomodulatory properties (an agent that modifies your immune responses). A study found that when applied twice every day for 12 weeks, picolinic acid gel was very effective in treating acne (11). Dapsone gel too has anti-inflammatory and antimicrobial properties. It is considered safe and effective in treating acne when used alone and in combination with other medicines (12). Apart from these medicines, there are many natural and plant-based remedies that can heal mild acne. Natural remedies will not give you quick results and may take longer to show initial results. However, before trying any natural remedies, talk to your doctor (in case you are already undergoing treatment for your acne). Here are a few home remedies that you can try to treat acne. Topical application of green tea extracts helps in reducing sebum production and treating acne due to the presence of polyphenols. Both topical application and oral consumption of green tea help in preventing acne vulgaris (13). You can either consume green tea on a regular basis (not more than 3 cups a day) or use a cream or gel with 2% green tea extract. You can even steep green tea and use the water in your face packs and masks. 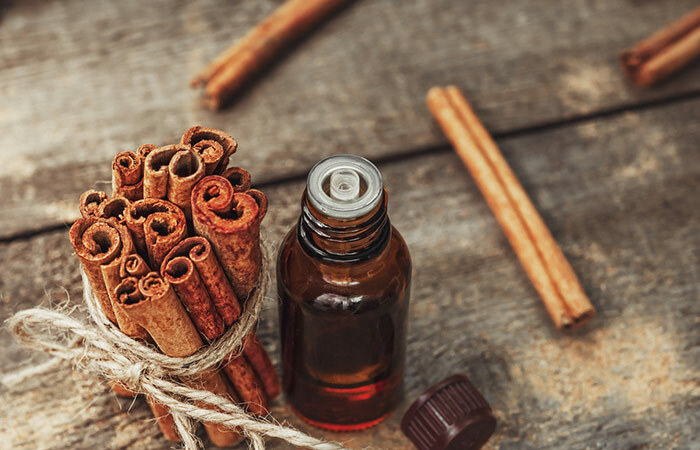 In a study, cinnamon extracts showed an inhibitory effect on P. acnes due to their anti-inflammatory and antimicrobial properties. The study concluded that cinnamon extracts could be used to develop anti-acne preparations (14). Use cinnamon essential oil (diluted with a carrier oil) for spot treatment of acne. You can also mix cinnamon extracts (powdered bark or cinnamon oil) with honey and apply to the affected area. Honey exhibits antimicrobial activity. It has a low moisture content, high sugar concentration, and a low pH – which inhibit the growth of microorganisms (15). Moreover, the antimicrobial activity of honey can be attributed to the honey bees. Honey bees add glucose oxidase (an enzyme) while making honey, which turns glucose contained in honey into hydrogen peroxide. This hydrogen peroxide is toxic for microbes. You can apply raw and organic honey to the affected area, leave it on for some time and then wash it off. Or you can add a teaspoon of honey to your face packs for added benefits. Treating adult acne successfully can take time since the causes can be unique to the individual. Consult a doctor to understand the exact causes of your acne, and based on that, you can take a holistic approach to treat your condition. Do you have adult acne? What measures did you take to treat it? What worked for you? Share your experience with us in the comments section below.